When going on a long-haul flight, the most important thing people will say to do is to make sure that you get up and keep moving. This isn’t simply to make the flight-time feel faster, but instead is to reduce your risk of developing a blood clot in your leg, defined as a Deep Vein Thrombosis. In today’s blog post, we will be discussing all things DVT: the symptoms, causes, diagnosis, treatment and prevention. Deep Vein Thrombosis (referred to as DVT) is the formation of a blood clot in a deep vein. They typically occur in the legs, in a vein which runs through the calf and thigh. If symptoms are ignored or treatment is delayed, it can result in a pulmonary embolism – a serious disease where the blood clot travels to the lungs. There are many risk factors associated with DVTs, so prevention is important. If you think you may be experiencing the symptoms of DVT and are in need of a private gp, London Doctors Clinic is here to help. 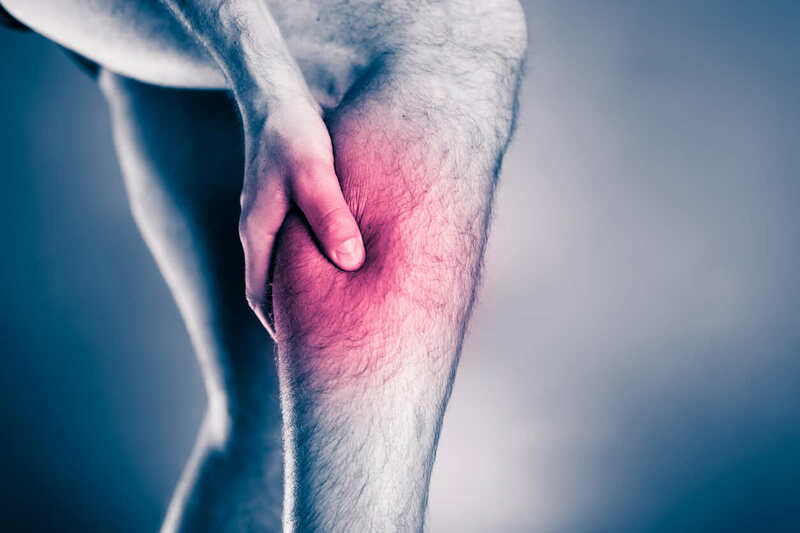 Typically, DVT will occur in just one leg but it may cause symptoms in both. In some cases, however, there may be no signs of symptoms. Pregnancy – causes a rise in oestrogen and change in blood flow. If your GP thinks you may have a DVT, they could request for you to have a blood test for the D-dimer protein. This detects pieces of the clot in the blood, as levels will be elevated if a clot is present in your body. Therefore, if many pieces are found, it is likely that you may have a DVT. An ultrasound scan may be needed to confirm the diagnosis. In instances such as after surgery, trauma or during pregnancy, a D-dimer test isn’t always reliable meaning that another form may be required. An ultrasound usually gives a clear view of the blood flow through vessels, hence any blockages (which may be due to a clot) can be identified. If the diagnosis cannot be confirmed via either a D-dimer test or Ultrasound scan, a venogram may be necessary. This involves injecting a liquid contrast into a vein in your foot, then using an X-ray machine to visualise the dye travelling up the leg. If there is a clot, the dye will be unable to flow and therefore will be seen as a gap on the scan. This typically involves the use of anticoagulant medications, called Heparin, Warfarin, Rivaroxaban or Apixaban, which thin your blood. They work by reducing how well the blood can clot, as well as preventing the enlargement of existing clots. Heparin tends to be prescribed first as it works immediately, however because the treatment is designed to thin your blood, one of the side effects or risks includes bleeding. Compression Stockings can be used to help improve your symptoms by encouraging blood flow. You should wear them daily, if they are comfortable enough. If part of the clot in your leg breaks off, it can travel to your lungs and cause a pulmonary embolism. This is a serious condition which can occur in around 1 in 10 people who have a DVT. When DVT and pulmonary embolism occur together, it is known as venous thromboembolism (VTE). If you experience any of the symptoms above, it is important you seek immediate medical attention. If you have had a DVT and are going on a long-haul flight, it is important you speak to your GP about reducing the risk of recurrence.